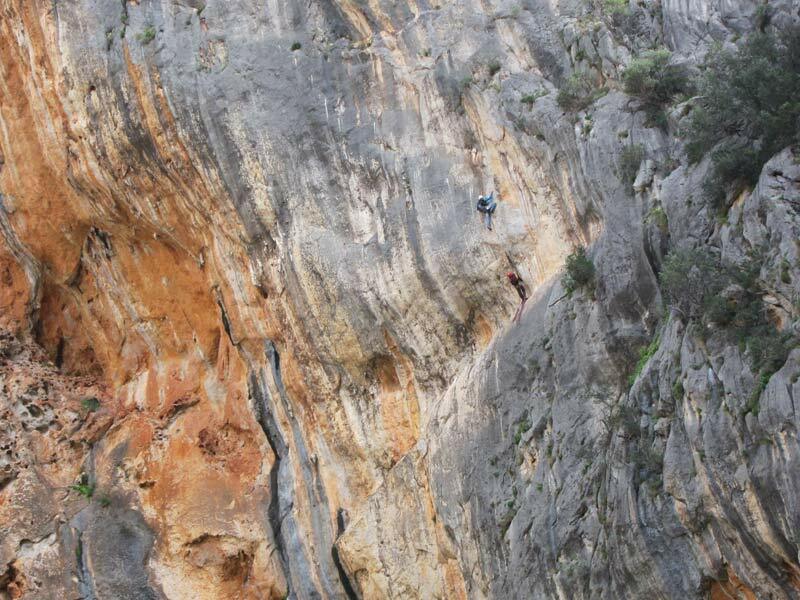 Mallorca is without a doubt one of Europe’s most beautiful and varied sports climbing venues. An abundance of top quality limestone means that the island has an unparalleled variety of routes of all grades. Combine this with its beautiful beaches, rugged coastline and the dramatic Tramuntana mountain range and it is easy to see why Mallorca is fast becoming an incredibly popular climbing destination. 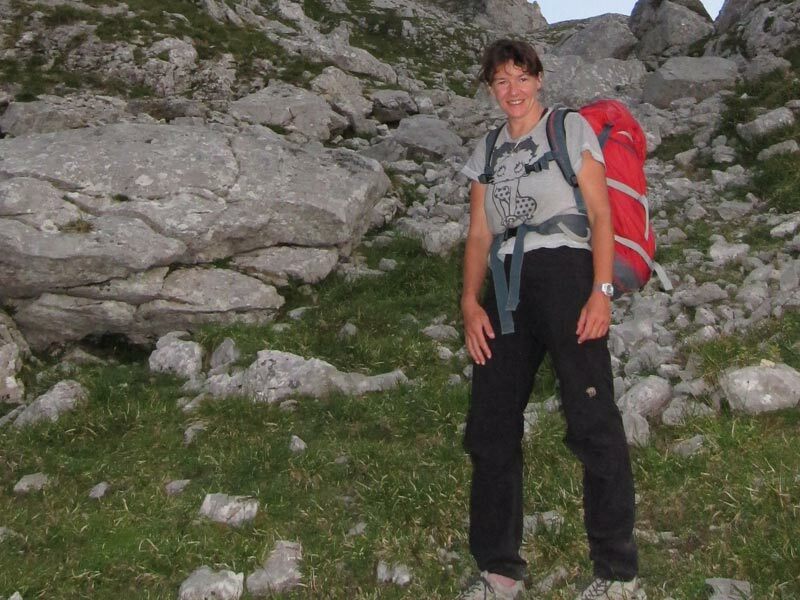 Whether you are a complete beginner looking for a friendly introduction to a new and exciting sport or a well travelled rock climber looking for fresh challenges then Mallorca is for you. 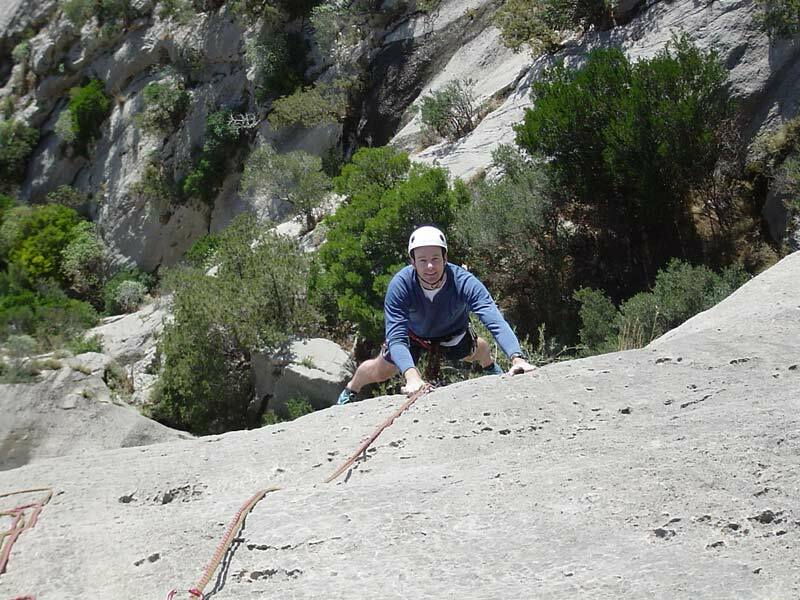 A huge draw to the visiting rock climber is the variety of routes on offer, sheer slab walls, steep overhanging roofs, juggy tufas and cracks on pristine limestone. There is something here for everyone. When to go: The best time to visit for climbing in when the island is quieter (September to May) leaving the roads clear, the accommodation ample and the temperature perfect. That said, with a little research, a hire car and a few early starts it is possible to enjoy climbing in Mallorca throughout the year. Even in August there are cooler mountain crags, tucked away walls and of course deep water soloing venue. Mallorca has recently become world famous as a deep water soling venue, with world class climbers like Chris Shrama visiting during the summer and autumn months. The deep water soloing (known locally as Psicobloc) is excellent in Mallorca. There are numerous sea cliff venues, particularly in the south east of the island, covered in pockets, juggy tufas, cracks and crimps catering for many styles. There is Cova del Diablo, home to the world’s best lines; Cala Serena, the largest venue on the island with almost 100 separate lines and Cala Barques, an incredibly popular quality deep water soloing playground……..to name but a few! The routes start from as short as five metres to as high as twenty metres and grades range from 4+ to 8a. In the past climbers have been wild camping at some of the venues, this has caused many problems with the landowners and the police. Please don’t do it. For those new to the sport that are looking for well bolted climbs in a stunning location you must visit Cala Magraner (65 routes from grade 3 upwards). This sea cove is a beautiful sun trap. Your belayer will have the waves lapping at their feet for some of the routes. It is over on the East where it’s hot with well bolted climbs, a perfect winter venue. For the seasoned sports climbers looking to challenge themselves against some of the finest lines in Europe then you can’t beat Alaro (65+ routes from grade 5 to 8) and of course Mallorca’s prime climbing area Sa Gubia (125+ routes from grade 4 – 8). There are also venues like Fraguel (winter venue) and Gorg Blau (summer venue) perfect for the rock god and goddess, who are content to spend their days working impossibly hard routes. (55+ routes each from 5 to 8c+). 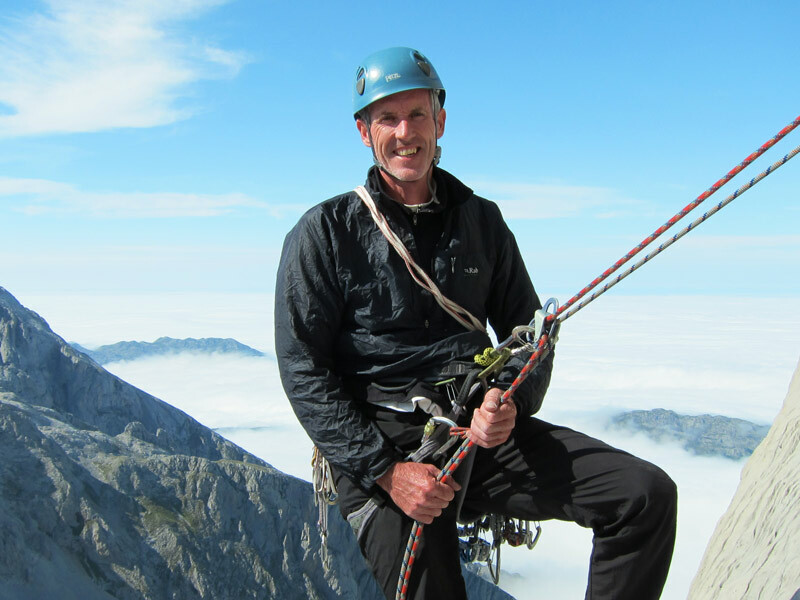 Best climbing guides and instructors. Rock and Ride – Mallorca. 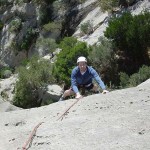 Justin and Sam have over 50 years of combined experience instructing rock climbing. 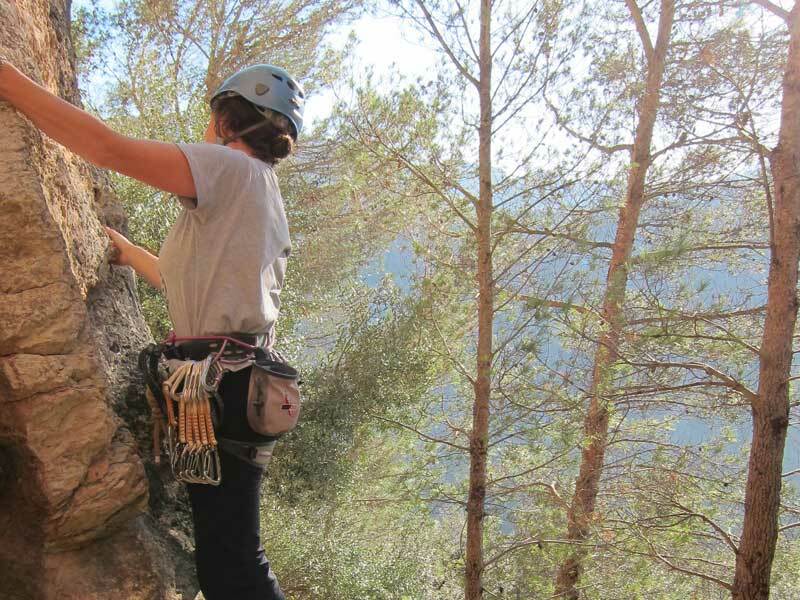 Their experience and passion for climbing means they are totally flexible and will help you get the most quality climbing possible during your stay in Mallorca. They are passionate about coaching climbing movement and technical skills but above all they believe that the best climbers are the ones having the most fun. They run courses throughout the year. Best climbing guide book to Mallorca. www.rockfax.com The rock fax to Mallorca has recently been update. It can’t be beaten for ease of use. It covers enough crags to keep you occupied for a good climbing holiday year after year after year. Mallorca is constantly being developed as a sports climbing destination with new areas constantly being bolted every month. Best Decathlon for climbing gear. The Son Moix decathlon store has a small selection of rock climbing equipment. That being said its range is adequate and often extremely well priced. Well worth a look. The best rock shoe resole. Best Ice cream in Soller: Giovanni. Plaça de la Constitució. The real homemade McCoy. The staff let you try every flavour without raising an eyebrow. Best ice cream in Palma: This place is a Palma institution. It is located in the old town and almost impossible to find! It the most traditional ice cream parlour I have ever come across. “Ca’n Joan de S’aigo”. Carrer de can Sanc, 10. Best Tapas in Palma.Bar Dia: C/ Apuntadors 18, Palma de Mallorca. Bar Dia is everything a tapas restaraunt should be. It is hot, quick, tasty and a good price! The staff are very very friendly. They even let me take my dog. It is located in the middle of the trendy Palma old town area, surrounded by cool bars, cool people, me and my dog. Most remote Lamb restaurant ever. Es Verger. This restaurant is not only recommend by me but it is also recommended by Rick Stein. Its very remote but conveniently located at the foot of a very popular climbing venue (Alaro) The shoulder of lamb is recommended although surprisingly pricey for the rustic setting. Other meals are more reasonably priced. Be prepared for sheep wandering in and out. A little disconcerting especially if you have just ordered the shoulder of lamb. Best area for hanging out: Drassana Placa. This lively eclectic area is ideal for an evening hanging out. This Placa is surrounded by many good bars, trendy galleries, little shops and restaurants. Duke Restaurant: Calle Soler, 36 | Santa Catalina, Palma de Mallorca, www.dukepalma.net The tastiest retardant ever. It is not expensive and well worth every penny, it’s just not climber cheep…you know what I mean! It is worth treating yourself to this one. Book ahead to guarantee a table. It has got a cool laid back surfer theme going on. Located in the interesting Santa Catalina area of Palma, with loads of trendy cafes and shops. Well worth wandering around during the day or night. Best budget meals: Menu del Dia (menu of the day). Most cafes, bars and restaurants offer Menu del Dia. These are designed so that Spanish workers can have affordable meals during the siesta work break. They are always incredibly good value. You pretty much get 3 courses for the price of one. The problem is trying to do anything after eating a menu del dia, apart from sleeping in the sun that is. Airport Pickup and Transfer Service: We recommend AT Mallorca Transfers. They’ve been operating a reliable airport transfer and pickup service for many years with excellent rates. Car Hire: If you going to rent a car for only a few days, most of the companies charge for a full tank of fuel, this can be as much as €80 – €150 for a large vehicle. You will be unlikely to use all the fuel and no refund will be given on any unused. We recommend Rhino car Hire and Hasso car hire, they don’t operate this policy, you collect and return the car with a full tank. If you mention rock and ride when booking with Rhino you will receive a 10% discount! Use the live chat facility on the website, email or phone to request discount. 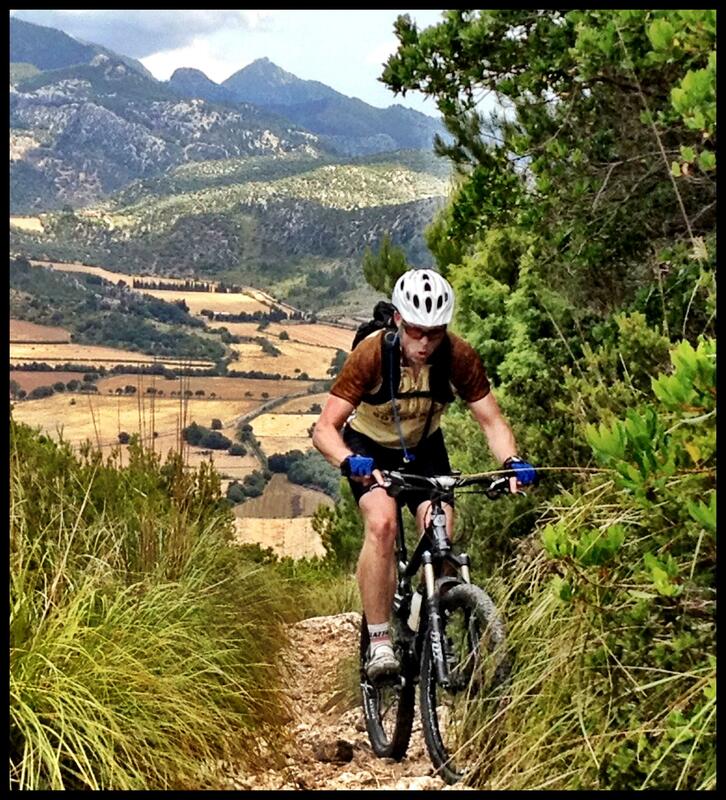 Rock and Ride are based close to Bunyola and Soller near the Tramuntana Mountains. We believe this is one of the best areas for climbing on the island. We have included an accommodation list for Soller and Palma. Click here to see the accommodation list. The list is mostly for budget to mid-grade accommodation. The list is by no means exhaustive and bargains can always be found on the internet. If you are staying elsewhere on the island Mallorca is very compact and has a good road network. This allows all of the crags to be visited from wherever you end up staying. The summer months will see the climbers predominantly heading to the high mountain crags, shady valleys and of course the deep water soloing venues. The winter will see the return of the climbers to the hotter east coast and south west areas.